DPA Microphones is pleased to present its latest broadcast microphones at the 2015 NAB Show (Booth C6046), including its brand new d:facto™ Interview Microphone, a high-end handheld reporter’s mic that’s being unveiled, and its recently launched d:fine™ In-Ear Broadcast Headset Microphone. In a class of its own, with voice clarity, linearity and low handling and wind noise that is far superior to other solutions on the market, the d:facto Interview is perfect for outdoor or studio interview settings. The d:fine™ In-Ear is targeted at broadcast hosts and guests who use in-ear monitors to communicate with their producers backstage or to hear foldback from people interviewed outside the studio. 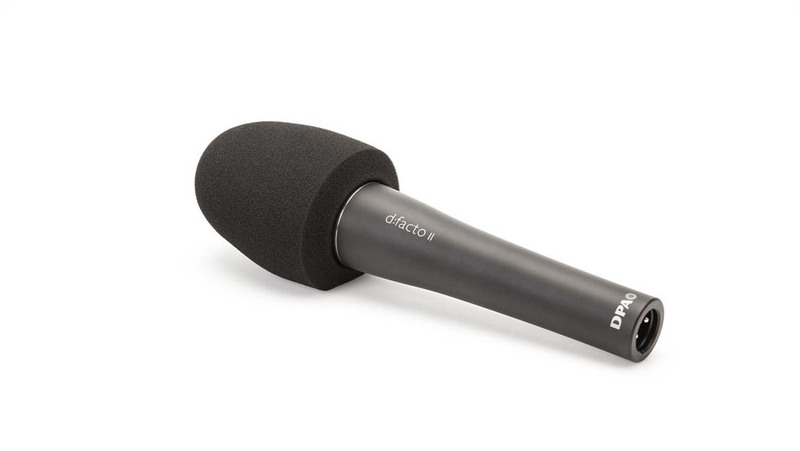 The d:facto™ Interview Microphone features an omnidirectional 2006V capsule, based on DPA’s original 2006, but with sensitivity adjusted down 12 dB to accommodate typical interview mic and wireless handle sensitivities. This omnidirectional pattern is preferred for handheld interview use because precision is less critical and native reductions in wind and handling noise, which is further lowered in the mic by a rubber suspension mount built into the d:facto head. 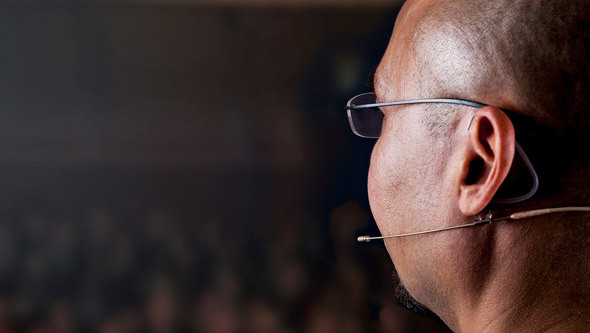 When paired with the recently-launched DPA d:fine In-Ear Broadcast Headset Microphone, the DPA d:facto™ Interview Microphone can be used in the studio by a show host for guest interviews and audience commentary, while maintaining a connection to backstage producers or off-site colleagues via the d:fine’s in-ear monitor and mic. The d:facto Interview is also ideal for solo use for on-the-street interviews in ENG applications. The new d:fine™ In-Ear Broadcast Headset Microphone is built on the same state-of-the-art capsules and mechanical design that have made DPA’s d:fine range so popular around the world. 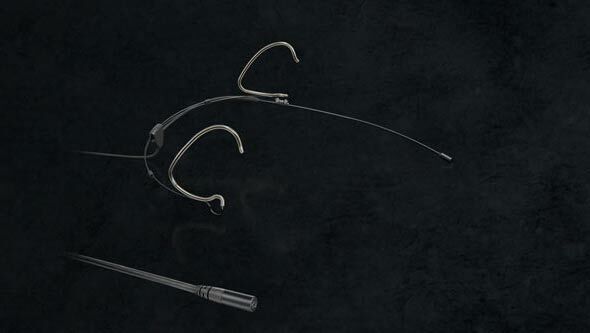 This model incorporates two cables — microphone and in-ear — that run parallel to provide a neat and clean look. Ear pads in two different sizes are also included and great care has been taken to ensure that there is no audio leakage between the in-ear drivers and the microphone capsule, which can be either omnidirectional or directional. 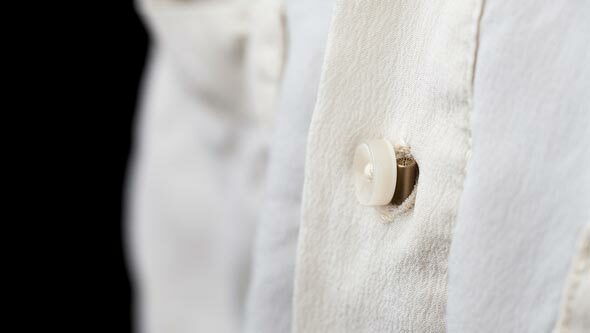 A steel spring construction at the ear hook offers quick mounting for any ear size, while the cable to the integrated in-ear plug(s) can be lengthened or shortened to suit the user. It is easy to adjust headset mount size and, by choosing between left and right ear orientation, it is even possible to give the broadcast host a ‘camera blind’ side. Throughout NAB, DPA will provide listening stations for its most popular broadcast microphones, including the d:dicate™ 4017B Shotgun Microphone. Also on display will be the company’s full line of d:screet™ Miniature, d:fine™ Headset and d:vote™ Instrument solutions, as well as the one-of-a-kind d:mension™ 5100 Mobile Surround Microphone. Additionally, the company is inviting attendees to snap a ‘DPA at NAB Selfie’ for Facebook in front of the DPA photo wall at the company’s booth for a chance to win a free d:fine™ Headset Microphone of their choice. In addition to all of the broadcast application microphones, DPA is demonstrating the flexibility of its entire d:facto™ range, including the d:facto™ Vocal Microphone. Launched just three years ago, the d:facto Vocal Microphone has proven popular with FOH engineers for artists such as Stevie Wonder, Sting, Ellie Goulding and Paloma Faith, who appreciate how much easier it makes their workload thanks to its clarity, superior gain before feedback and extreme SPL handling.